The Boston Online Film Critics Association was established in May of 2012 to foster a community of web-based film critics. 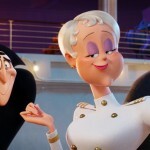 This entry was posted in Review Roundups and tagged Hotel Transylvania 3: Summer Vacation, Review Round-Up, Skyscraper, The King, zama by bofca. Bookmark the permalink.